Love it. 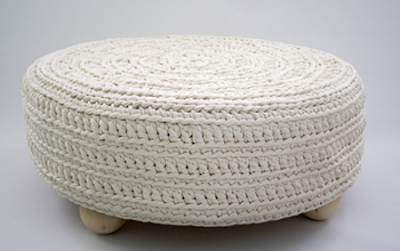 Big fat chunky crocheted poufs, stools, and baskets. 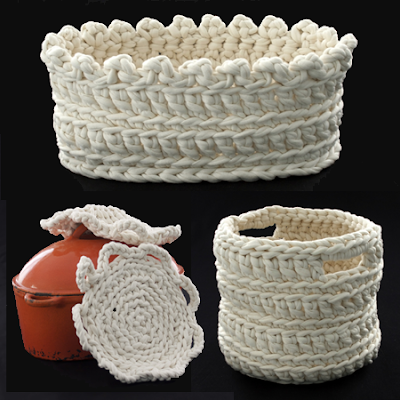 DEFROST design in Sweden sells basket, potholder and rug kits that include instructions, crochet hook and yarn. Nice. Heins Home is a Dutch design company that creates and sells these pieces of art designed by Ineke Visser. 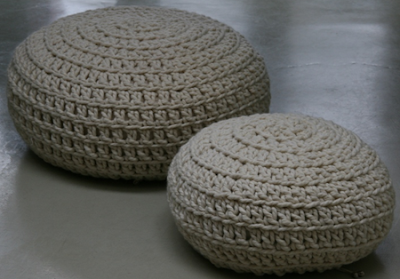 Let's not even talk about big fat KNITTED poufs and pillow. More on that later. But for now must try fat crochet. 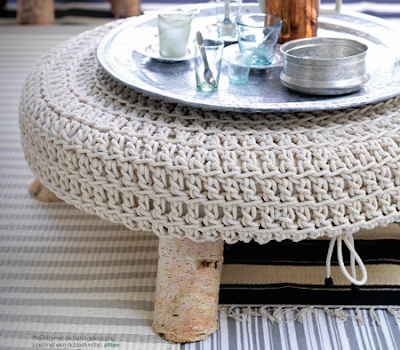 loooove giant knit and crocheted items. the bulkier the better!